“Can I get a vehicle history report with a license plate number?” Yes, a car’s license plate number is linked to its VIN in public vehicle records. You can search the records of over 268 registered vehicles in the United States. VinCheck.info offers a free license plate lookup. You can check whether a used car, truck or SUV has hidden problems. Enter a license plate number below to get a free vehicle history report. What is a license plate number? The state DMV assigns the license plate or registration number to a vehicle upon registration. This unique number is embossed or surface-printed on a metal or plastic plate. To identify the vehicle, the plate is mounted on the front and rear or at the rear of the vehicle. Most states have their own distinctive color scheme, logo, and registration number format for license plates. The Washington, D.C. city government, the federal government, and some Native American tribes issue special license plate numbers. If you want to choose the letter/number combination, you may order for custom license plates or vanity plates. Where does VinCheck.info Get Vehicle Information? 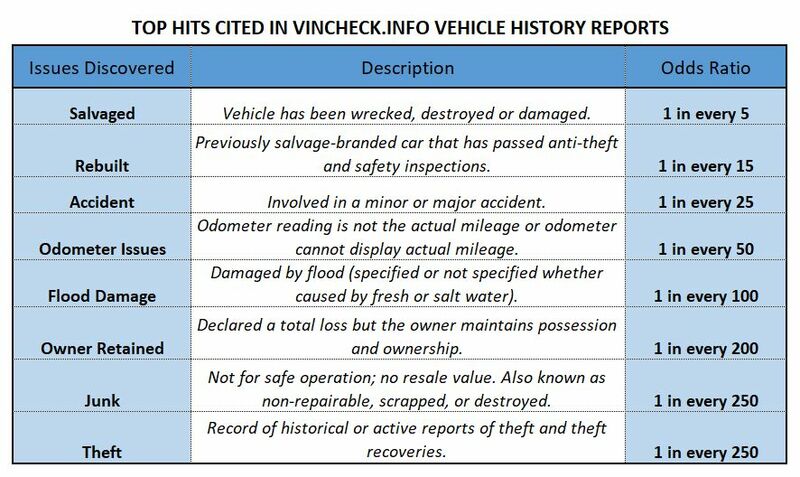 VinCheck.info regularly gathers vehicle data linked to a VIN or license plate number into its large database. We tap into a vast network of government, auto industry and non-profit sources. By making this database searchable, we give you free access to one of the most complete sources of vehicle information. What Can I Get from a Free License Plate Lookup? In some cases, our free license plate lookup may pull up records for more than one vehicle. Based on vehicle information and other details, you should be able to identify which record pertains to the target car. What Other Info Can I Get With a License Plate Number? SearchQuarry is a US-based public records resource utility that offers reverse license plate search. You can access the owner’s identity and other vehicle details for federally approved purposes. Vehicle Data Registry lets paid members lookup criminal driving records using a license plate number. Some state DMV’s also offer license plate lookup. Visit your state DMV’s website to check if they provide other services associated with license plate numbers such as title check.